1. Do you have any spots open in your league? 2. I have a new team. When will I know if I have a spot and when can new teams register? 3. What are the chances of my new team getting into the league? 4. What type of payments do you accept and when is my check cashed? 5. Can I change my team name? 6. Does Burnsville have a residency requirement? 7. Will all my games be at Lac Lavon? If not, where will my team play? 8. How will my team be sanctioned with the USSSA? Q1: Do you have any spots open in your league? A: For summer, returning teams have from February 1st until February 28th to claim their spots with registration and payment so we don't officially know what is open until after March 1st. Any spot open after March 1st is first come, first served. Note: New teams can register before March 1st to get in line for open spots and teams that do so have had a very good percentage of getting into their league of choice (see below). For fall, returning teams have from June 15th until July 10th to claim their spots so we don't know what is open until July 11th. Any spot open July 11th is first come, first served. Note: new teams can register before July 11th to get in line for open spots (see below). Q2: I have a new team. When will I know if I have a spot and when can new teams register? A: New teams cannot be guaranteed a spot in our league until after the returning team registration deadline passes for each season. However, new teams are welcome to turn in registration at any time. If you turn in your registration before "open" registration begins, I will only contact you on the new team registration day if you DID NOT get your top choice. Based on past experience, most new teams can be placed in one of their top 2-3 choices if they turn in registration prior to the returning team deadline. Q3: What are the chances of my new team getting into the league? A: We have been able to accommodate 99% of the teams that turn their payments and registrations in early. If you submit your registration when registration begins, you have a great chance. Q4: What type of payments do you accept and when is my check cashed? A: The City of Burnsville only accepts cash, check or credit card for league payments. In order to guarantee your spot, you must turn in a payment at the time of registration that can be processed on or before March 16 for summer teams and July 25 for fall teams. Credit card payments are processed the day of your registration. Checks will be deposited starting the day after the returning team deadline ends unless you ask us to hold it until the process deadline listed above. If you ask us to hold it, you are welcome to change your payment form as needed any time from the time you register until the final date we deposit payments. If you need us to hold a personal payment to have time to collect from your teammates or from your sponsor, please contact me to discuss options. A $30 charge will be applied to any NSF payments and a late fee of $25 will be applied to late payments. 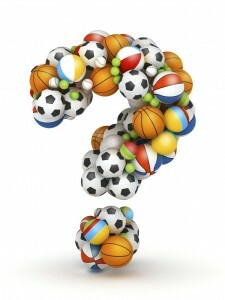 Q5: Can I change my team name? A: A manager must turn in a team name at the time of registration but that name can change up until the point the schedules are made. Once that happens, team names are final. Q6: Does Burnsville have a Residency requirement? A: The City of Burnsville does not have a residency requirement. However, we do give a higher priority placement for those teams that meet our residency policy of 51% or more of the team living or working in Burnsville. Q7: Will all my games be at Lac Lavon? If not, where will my team play? A: The majority of our leagues rotate between Lac Lavon, Neill and Alimagnet. We try to provide all leagues with the most number of games possible at Lac Lavon based on league set-up. Please read the league descriptions in the registration information carefully to see where your league plays. Q8: How will my team be sanctioned with the USSSA?